Create your own jigsaw puzzle with 54 puzzle pieces! Personalised jigsaws are ideal gifts! 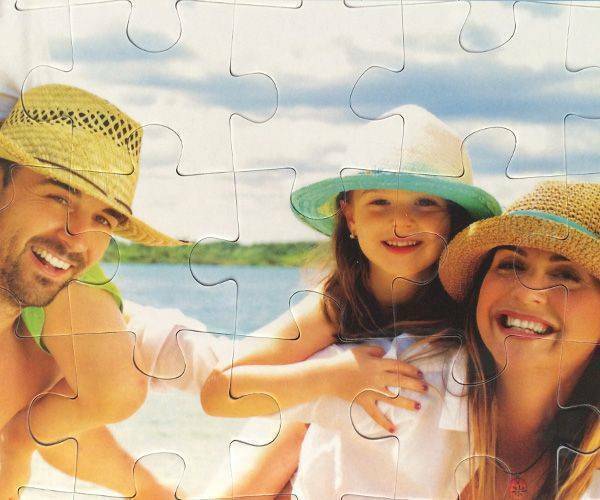 You can create a 54 piece jigsaw puzzle with any photo you like. 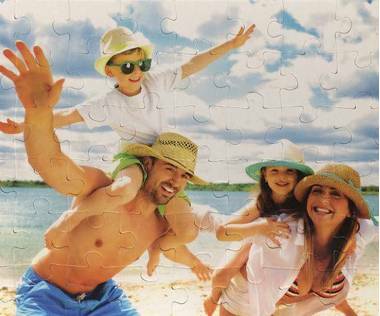 This small, but in the same time interesting jigsaw puzzle will be a great gift. 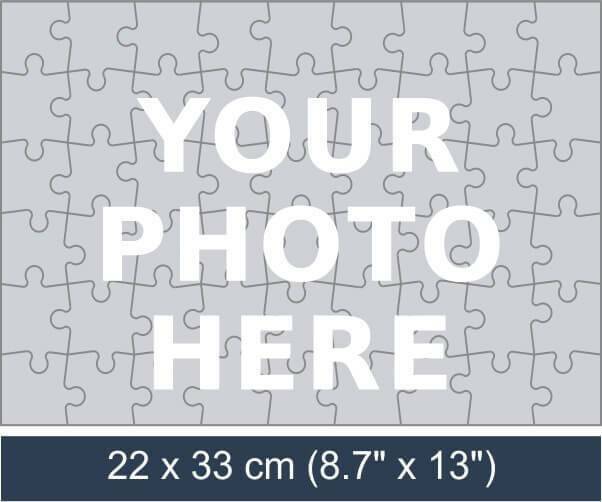 Challenge yourself, friends and family with a 54 piece photo puzzle! Looking for presents for the child that has everything can be tiring and frustrating. To take the hassle out of the next occasion that you have to do this, you can order a special item for them. 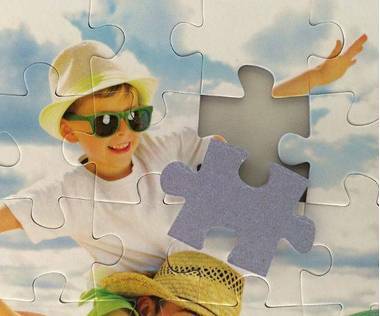 A 54 piece personalised jigsaw will make them feel appreciated and loved, as well as allow them to develop new skills at the same time they are having lots of fun. Playing with friends is going to be so much fun as it is likely they won’t have such an item yet. They will be the envy of the group, and soon parents will be getting in touch to ask how to get one for their child. You will be able to tell them how easy it was to have made and that it arrived quickly and well packaged. The jigsaw will be well presented as the box has the picture on the top. 54 piece jigsaw measures 22 cm x 43 cm and can be either landscape or portrait. You will have to make sure that the picture you are using is the correct resolution as not doing this could lead to the finished product not being up to the high standard that the company insists on. 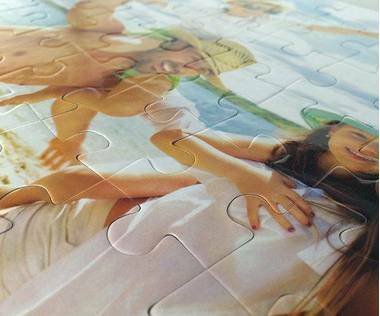 It is only right that they ask the best from you as they will ensure that you receive a top quality jigsaw with all pieces being perfectly finished. This number of pieces can be suitable for a child of around 4 to 5 and will be the ideal size for a child that has not made up many such puzzles before. Learning will be fun and the fact that the subject is something they are familiar with and love will mean that they will want to move on to a more challenging one. Due to the size, this 54 piece jigsaw will be the right size for putting on a small table if you don’t want to climb around on the floor. 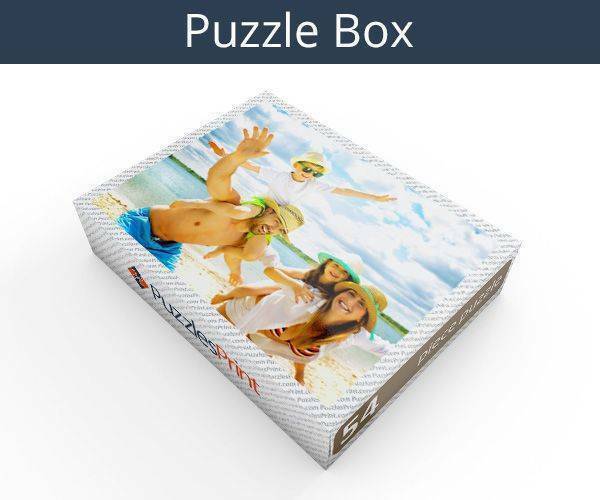 You will be amazed at how easy it is going to be to order this wonderful gift, and the next big occasion that comes up is bound to come with the request for another jigsaw to replace the one that has been outgrown.